Welcome to July. As the calendar turns over to the next 31 days of MMA, UFC 226 casts a huge shadow over the entire month. UFC 226 is real life, Fight God blessed pay-per-view attraction and the Sunday Morning Rumor Mill is ready for some vintage MMA summer fun. UFC 100, UFC 116, UFC 200 can all stand toe-to-toe with UFC 226 and nobody would blink an eye. This is a card worthy of an all day pre-game session. Our bodies are ready for the next six days of MMA goodness and your rumor mill is to. 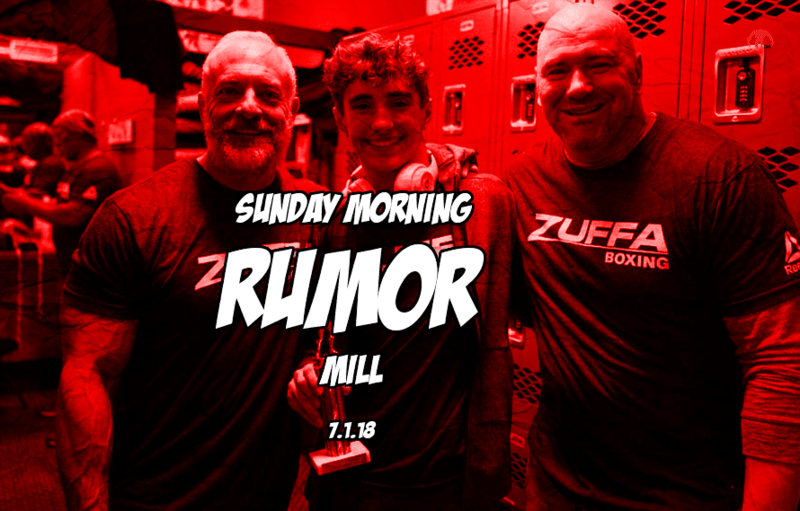 Let the hype of big time UFC fight week engulf you in it’s cool waters then wake up in a hot sweat to the loving embrace of your Sunday Morning Rumor Mill. Look for Ronda Rousey to make her WWE TV return later in July. Her WWE suspension should line-up to roughly 30 days. A new rumor puts none other than former Bellator MMA heavyweight Bobby Lashley as the next title match opponent for Brock Lesnar in the WWE. Talks of Tito Ortiz versus Chuck Liddell have been rumored to hit a snag. One side is asking for a big bump at the last minute. Rumor is Paul Daley will sign a new contract with Bellator, to the surprise of many, after the UFC did not show much interest in bringing him back. Plans for Zuffa Boxing may have been put on hold. With ESPN going all-in on the UFC through ESPN+, the need for Zuffa Boxing may be nothing more than a vanity project for the company. Previous articleJonathan Ivey Fakes Heart Attack During The Match Versus Travis Fulton!